Welcome to Bindarra Creek, a struggling country community whose townspeople work hard and love deeply. 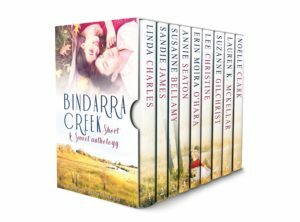 Set in the tablelands of New England, Australia, the fictional Bindarra Creek is a drought-stricken community full of intrigue, adventure, drama, and honest country goodness. Life and love in a small country town have never been more challenging.